Last weekend, Puyallup; This weekend, Medford! 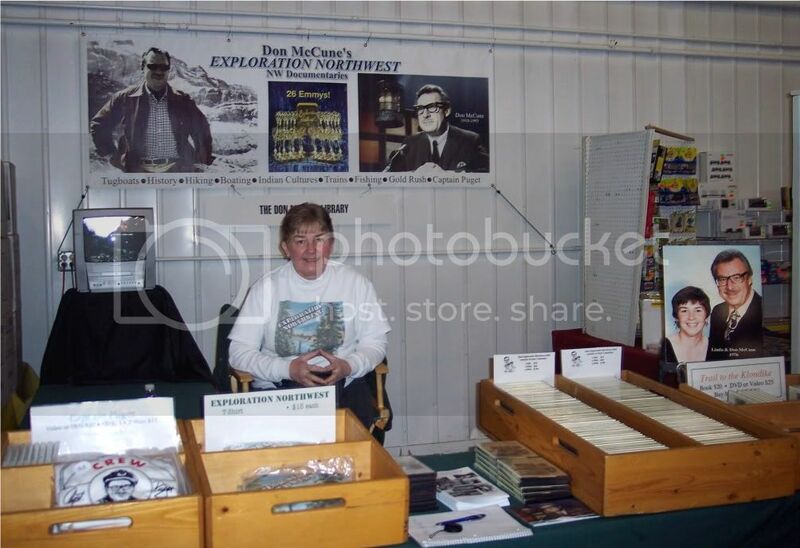 Last weekend we made the long, cold trek from Southern Oregon to Western Washington for the Great Train Expo in Puyallup. We are getting ready for the Medford show this weekend so this post will be somewhat sparse, the main purpose to share some pictures from the trip. We met lots and lots (and lots) of friendly railroad-lovin’ folks, many of whom signed up for our humble newsletter. As we traveled north, the trees got bigger…. Just south of Portland, we stopped briefly at the site where Boone’s Ferry used to operate across the Willamette River. The ferry began service in 1846 as a raft operated by oars pulled by members of the Tualatin Native American Tribe and operated 24 hours a day. Later the ferry became cable operated and finally was decommissioned in 1957 after the Baldock Freeway Bridge was built. Photo courtesy of Emery D. Aden, Wilsonville-Boones Ferry Historical Society, circa 1950. Photo of a photo on a historical marker sign at a rest stop in Oregon. Soon we crossed the Columbia River Interstate Bridge into Washington…. And we passed under a train beneath increasingly darkening skies…. 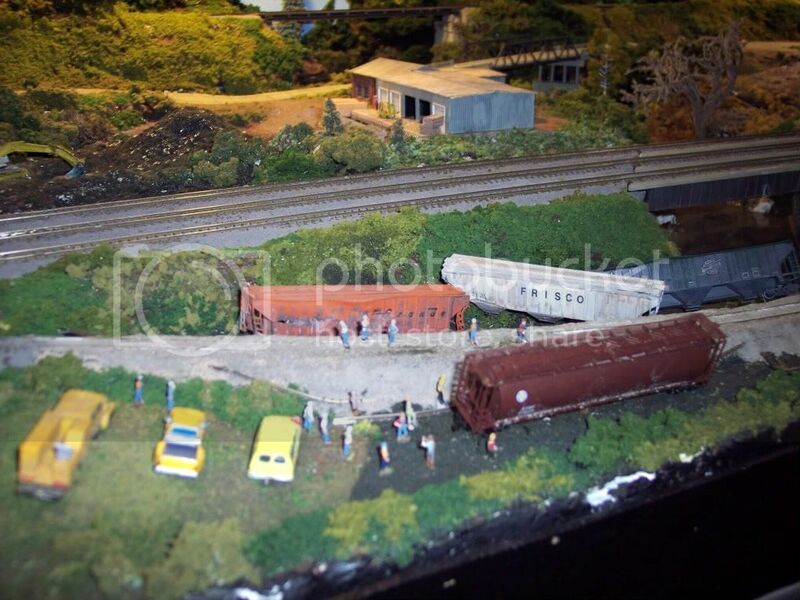 As usual with Great Train Expo events the show was quite large with many clubs showing off their layouts. 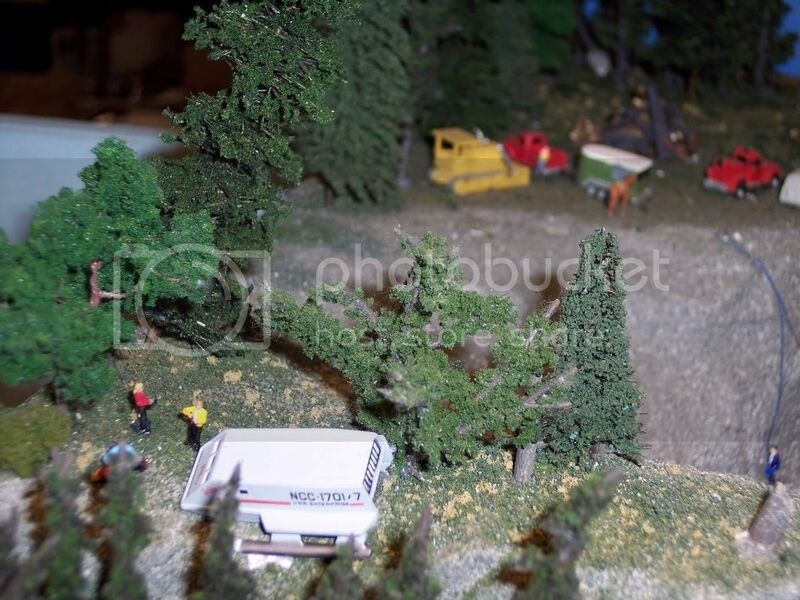 First up, Puget Sound Garden Railway Society…. 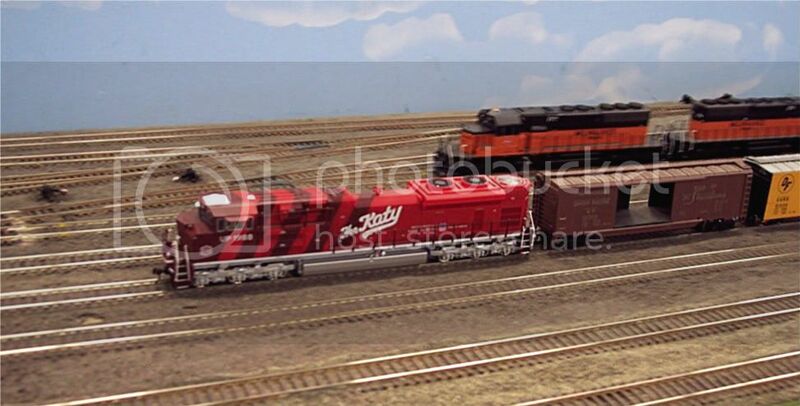 The next picture is one of the locomotives displayed by the Kitsap Live Steamers…. Also attending was the Northwest Railway Museum in Snoqualmie, Washington who offer scenic train rides and birthday parties. For more information or to become a member visit www.trainmuseum.org. Have a safe and happy Thanksgiving! 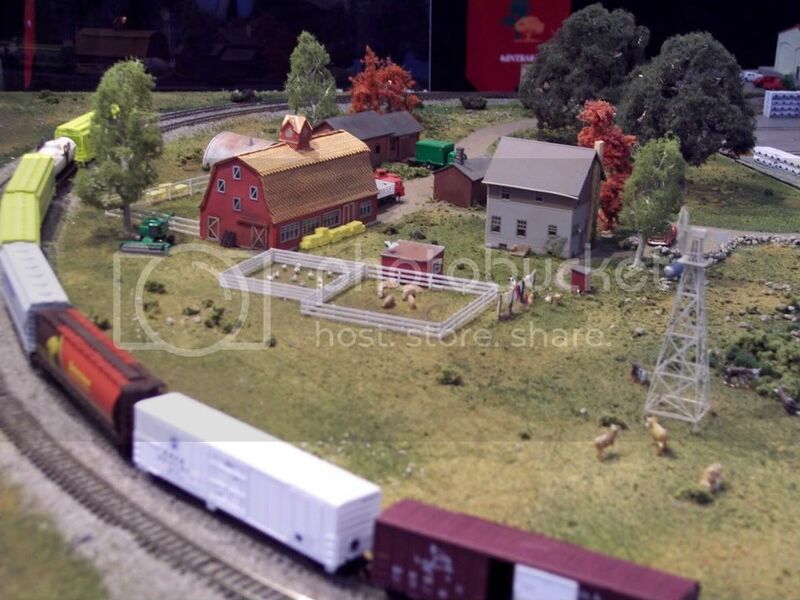 We hope to see some of you at the Rogue Valley Railroad Show this weekend at the Medford Armory. It is open November 26th from 10am – 5pm and Sunday November 27th from 11am – 4pm. P.S. If you are in the market for tools for your modelling needs you can see Galloway Tools at many Great Train Expo events plus they sell online as well at www.gallowaytools.com. Nice folks! 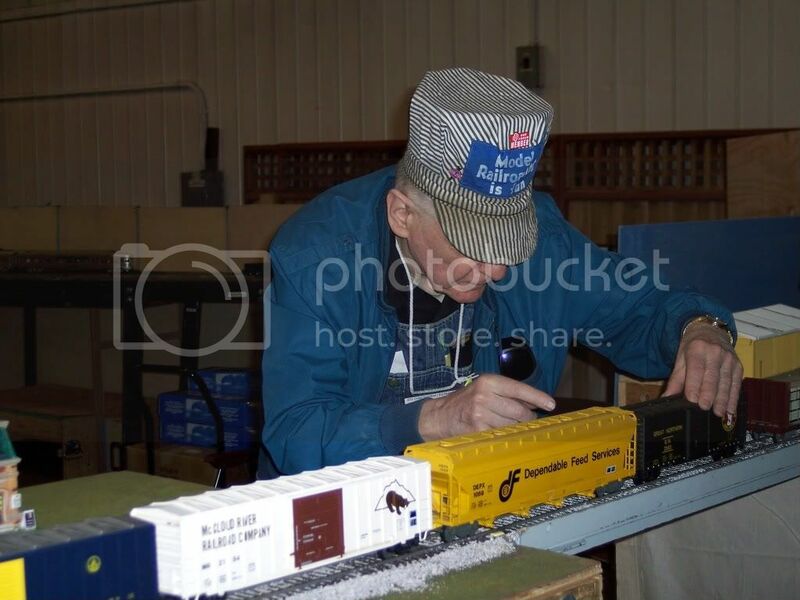 Posted in Model Railroading, Railroad Museum, Train Shows | Comments Off on Last weekend, Puyallup; This weekend, Medford!